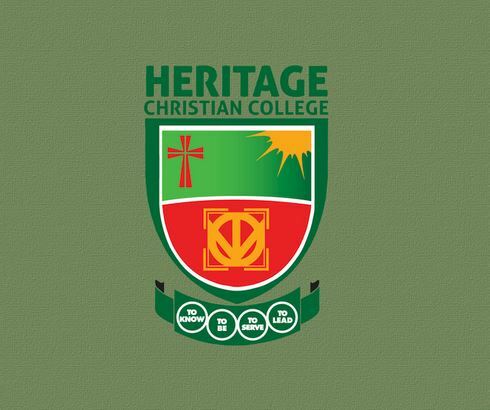 Heritage Christian College (HCC), Amasaman-Accra, a University accredited by National Accreditation Board and affiliated to Kwame Nkrumah University of Science and Technology (KNUST) has awarded GHc100,000 to 8 teams of HCC students to start their own businesses after emerging winners in the HCC Start-Up Challenge. The HCC Start-Up Challenge is an initiative of the Center for Entrepreneurship, Philanthropy and Ethics (CEPE), a unit of Heritage Christian College (HCC). The Center organises annual business competitions for members in the HCC Community. The aim of the competition is to award the best business proposals a prizeand provide support to turn these proposals into successful businesses. The Center seeks to challenge student entrepreneurs to Dream, Experiment, Iterate, and Persist. The maiden edition of the competition has awarded 8 teams of 22 HCC students various sums ranging from GHc10,000 to GHc20,000as start-up capital for their business plans. The competition is available to teams with at least 2 students each but no more than 4. Each team must have 1 adviser or mentor who must be a faculty member or staff of HCC to serve as a guide during the development of the business plan and pitch presentation. A proposed venture may compete only once per year in the competition. Proposed ventures earning more than GHc25,000.00 in revenues prior to the competition are excluded. Proposed ventures that have legally set up a proposed venture identity or have undertaken any other formal start-up activities prior to the current academic year are excluded. Team members may have worked on an idea or new technology in previous academic years or even prior to entering the school, provided that their proposed venture meets the preceding requirements of this section. To enter the program each competing team must Complete the registration form either online or at the Center’s Secretariat along with a stated business idea. Training is provided to the applicants to write a five-page business concept note within a specified time frame. The concept notes received are reviewed by a team of experts empaneled by the Executive Director. The successful participants are invited for training on developing business plans and are requested to submit a 20-page business plan within a certain time period. A team of experts are empaneled to evaluate the business plans. The authors of viable business plans are invited to pitch their business ideas and are evaluated for soft values such as ethics, philanthropy and character. Winning plans are awarded with a grant to implement the plan. The CEPE may have further participation in the venture either through debt or equity. The authors of winning proposals are referred to appropriate supporting structures in government or industry for further support to implement the venture. HCC believes that if the economy of Ghana is to advance and provide better living conditions and better opportunities for all citizens, the economy must expand. Growth and expansion of the economy means more sustainable employment opportunities, creating more income which will ultimately be translated into a reduction in the level of poverty in the economy. One of the core philosophies of HCC is to develop and nurture all members of the HCC Community (students, faculty and other employees of HCC) to be in positions to create sustainable employment opportunities in Ghana and beyond. The Center for Entrepreneurship, Philanthropy and Ethics (CEPE) is a non-profit Center of the Heritage Christian College (HCC) that seeks to support students, faculty, other employees of HCC and the entire HCC Community with entrepreneurial skills and financial support to undertake viable entrepreneurial ventures. The CEPE is an independent Center of HCC with the objective of developing and nurturing ethical entrepreneurs with the spirit of philanthropy.